Napoleon is french and is a major figure in guitar composition of the mid-nineteenth century. Napoleon was taught by his mother at a very early age. Napoleon later became Fernando sor’s student and quickly established himself as the leading French virtuoso guitarist. 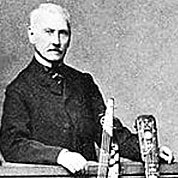 Napoleon is the first composer to transcribe guitar music of the 17th centurty to the modern era. Andante Haydn. Livre D’or Du Guitariste. 36 Measures. 3 Pages. Time Signature 2/4. Key of A. Andante. Drop D.